The Jaipur city is one of the most beautiful cities located in India. According to the economic growth census report of 2008, Jaipur city was included among the 50 emerging cities in the world. Many reputable companies are investing in this city just because of its rising economy. Many industries are available in Jaipur, but the textile sector holds the top position among all. The Jaipur fabric is famous in all over the world because of its promising quality. The Jaipur city is also famous in all kind of bed sheets like a handmade bed sheet, block print bed sheet, silk bed sheet and others. 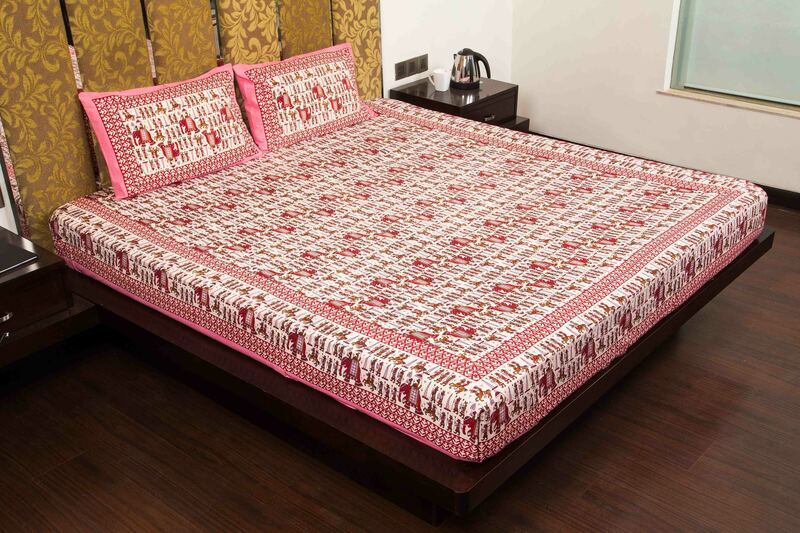 The Jaipur bed sheet is the best combination of colors & contrast. The product of Jaipur fabric is full of colors and a culturally rich design. If you really want to redecorate your house with some bright and sharp colors then the Jaipur bed sheet would be the best option. EID15: you can enjoy discount up to 15% while purchasing a products worth more than 1500 INR. Intro10: In this promo code you can experience 10% discount while purchasing a products worth more than 500 INR. On this EID, you can redecorate your dream house with the premium quality Jaipur fabric bed sheets. Give your house a new look. The people of Jaipur never compromise over quality because clients really matter for them. Are you really looking for some colorful and soft bed sheet? Then we suggest you to buy it from Jaipur because with quality you can avail huge discounts due to an upcoming festival.